The vast majority of my routes are on dedicated cycle paths, B-roads and Scotland's delightful network of single-track roads with passing places. I do everything that I can to avoid busy roads and I have found that you can see mostly everything in Scotland without having to venture onto busy roads. 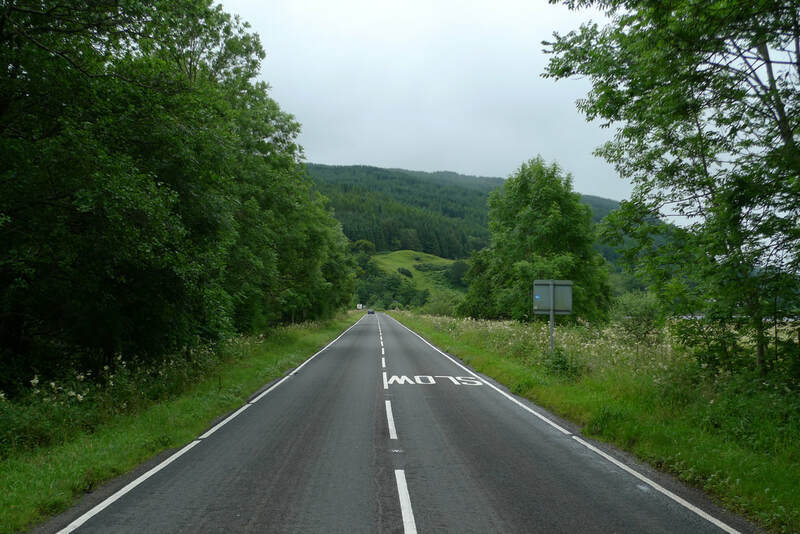 These are my favourite type of road to cycle on in Scotland and they serve huge parts of the country. They receive low volumes of vehicular traffic and take you to some of the most beautiful locations in the country. This makes them perfect for cycling. If you are nervous in traffic then single-track roads are where you want to take your bike. There are some rules to follow on these roads that makes life pleasant for all road users. If there is a vehicle coming towards you or from behind the courteous thing to do is to find the nearest passing place to pull over to allow them to pass. Some roads will be wide enough to allow you to move towards the verge without needing to stop and the vehicle will be able to pass. As you pass the vehicle it is normal to exchange a friendly wave with the driver, or just raise your hand. Some drivers will give you a friendly toot of the horn. This is all part of the experience of being in this remote part of the world. And who knows, one of these car drivers could just be your bed and breakfast owner or the barman serving you a drink after your ride. I have often come across extremely kind drivers who will make a point of stopping and pulling over to allow me to pass, even when it is not necessary. I have rarely experienced aggressive drivers on single-track roads. 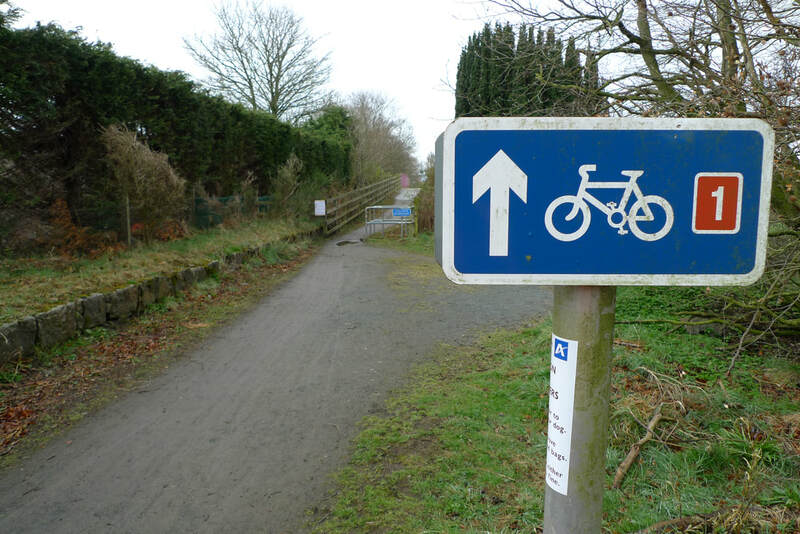 Thanks to the National Cycle Network (NCN) there are miles and miles of paths that are just for bicycles and walkers. 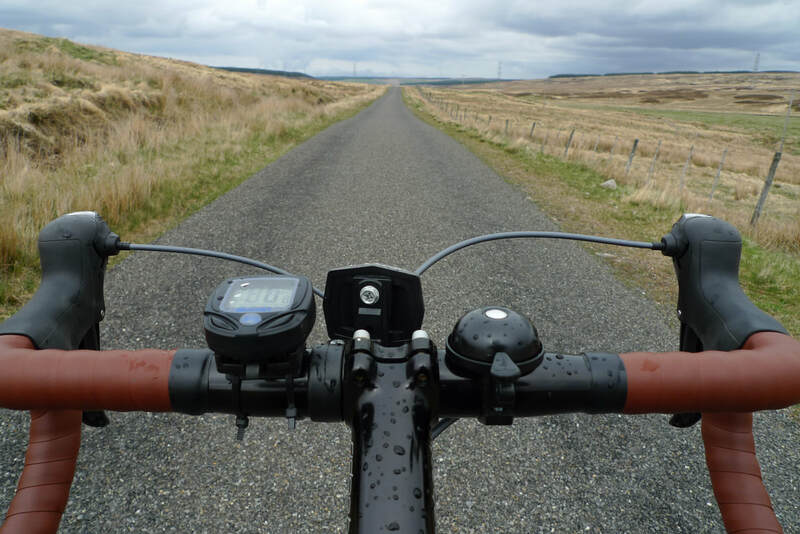 This is the safest way to enjoy Scotland by bike. The Network covers large parts of the country so it is possible to see a lot of Scotland by sticking only to the NCN. The NCN is easily identified by the blue cycle signs with a number denoting the route number. This makes navigation easy as all you have to do is follow the signs to get to your destination. The routes can also popular with walkers, dog walkers and joggers. This means that going slow when it is busy and have a bicycle bell are essential. The closer the route is to an urban area the more popular it is going to be, but in remote areas you will often have it all to yourself. These roads are wider than single-track roads and tend to have low volumes of traffic, but this can vary depending on where you are. Some B-roads can be busy with traffic, but as a general rule they are not busy. 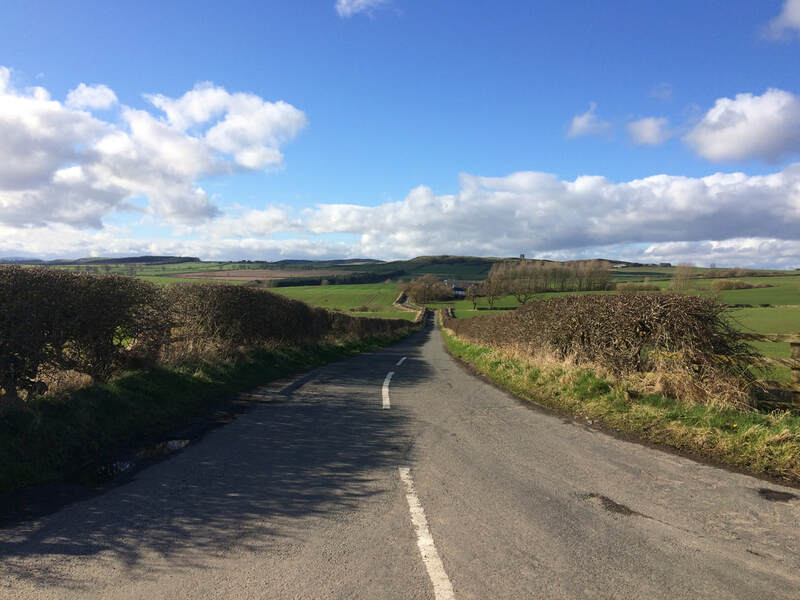 If you are not confident about cycling in traffic you may find that B-roads are a challenge, but if the road is in a rural area you may well find it to be absolutely fine. A good tip is to use Google Maps streetview to look at the road. If the volume of traffic looks low then there is a good chance that this is how it will be when you go there. The general rule is to avoid A-roads as these generally have high volumes of traffic. They are the backbone of Scotland's road network and are best avoided by cyclists. There are certain A-roads, like the A9, that you would be crazy to try cycling on. However, some places in Scotland are impossible to reach without using an A-road. Some A-roads can be surprisingly quiet, sometimes quieter than some single-track roads. It all depends on where you are in Scotland. For example. it is a good bet that A-roads on Scotland's islands are going to be quiet. Use Google Maps Street View to take a closer look at the road and if it has a lot of traffic. It might just have a cycle lane down the side of it or a pavement where cycling is permitted. The A816 south of Oban. The road is unavoidable if you want to travel by bicycle to the Seil Islands. Where an A-road is a viable option I adopt a straight and steady poise. It is important to concentrate on your road position and maintain it, don’t got too far into the edge of the road. Traffic is faster on A-roads that are in more densley populated parts of Scotland and most drivers will not want to slow down for you. They will overtake at speed. I find that the majority of drivers on A-roads give me enough space when overtaking. Without a doubt the most caring and courteous drivers are those in charge of massive articulated lorries. They always pull right over to the other side of the road giving me heaps of space.